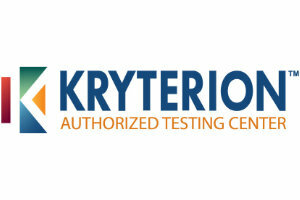 In 1994, a group of company representatives from petro-chemical companies in the South Jersey area began meeting, with the objective of developing a local, reciprocal safety training orientation that would be provided to contractors performing work within their respective facilities. The key thrust of the project was curriculum development, and the selection of a third party to administer the contractor orientation for member sites. Relatively new Process Safety Management (PSM) regulations, along with other drivers, had resulted in each facility developing and delivering varied safety orientations to contractors working at each site. The participating members wanted to establish a common, reciprocal curriculum that would communicate basic safety information, and reduce the costs associated with redundant training. 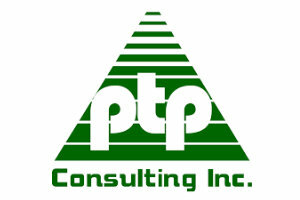 By February of 1995, with a collective agreement in place, the group proceeded to take the necessary steps to create and incorporate as a nonprofit organization. 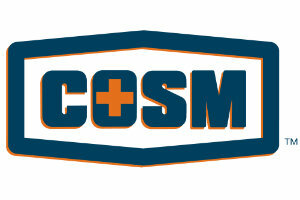 During its formative period the original and informal name the group used was the “South Jersey Chemical Manufacturers Association,” which later was formally incorporated as the “South Jersey Chemical Manufacturers Safety Council”. The Safety Council approached Gloucester County College, in Sewell, to participate as the selected third-party partner to administer the new program and to meet the training needs of their contractors. The first class was delivered in September of 1995. During that general timeframe, with the refineries all at peak operating levels, training space was at a premium. “Turnarounds,” essentially periodic maintenance shutdowns at the refineries that would last anywhere from two to six weeks at a time, required an influx of trained workers to perform the maintenance. It was not unusual at that time for the Safety Council, in conjunction with the College, to train as many as 1,000 contractors per turnaround. Referring back to the original compliance issue: providing a safety orientation that met or exceeded the requirements of the OSHA Process Safety Standard (1910.119), the formation of the Association of Reciprocal Safety Councils (ARSC) in 1997 addressed the need for a uniform and consistent safety orientation for contract workers in the US petro-chemical plant environment. Basic Orientation Plus® (BOP) was designed to meet those classroom-training requirements based on the standards listed in the Code of Federal Regulations enforced by OSHA. In 2001, South Jersey Chemical Manufacturers Safety Council formally became a member of the Association of Reciprocal Safety Councils (ARSC). Correspondence between SJCMSC and ARSC actually began as far back as 1995, when ARSC was still organizing and designing its programs and charter. This communication with SJCMSC’s board continued through the year 2000. By that time, the SJCMSC Board felt that ARSC’s Basic Orientation Plus® orientation had been fully vetted, and the decision to become a full member of ARSC was finalized. Basic Orientation Plus® thus became South Jersey Chemical Manufacturers Safety Council’s signature safety training orientation. 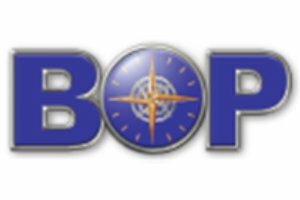 Over time, with BOP® as the petro-chemical industry’s required safety orientation, the industry has experienced unparalleled stability, training efficiency and positive results. So much so, ARSC programs are now being used in many additional industrial environments. Pictured from left: GCC Continuing Education project clerk Felicia Carroll, instructor Bill Bates, Business Safety Program Supervisor Annette Hughes, Robert J. Schmid, Provost/VP of Academics John Henzy and Dean of Continuing Education, Patricia Claghorn.Robert J. Schmid (center) of Deptford, a member of Ironworkers Local 399 and a supervisor for M.P. 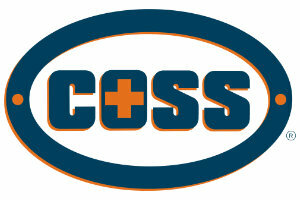 Murphy, was the 90,000th contractor to enroll in Gloucester County College’s Basic Safety Orientation Program. (October 2011). By 2006, SJCMSC had begun to serve a much larger population than just South Jersey. Joining ARSC in 2001 started an influx of contractors from all over the United States. 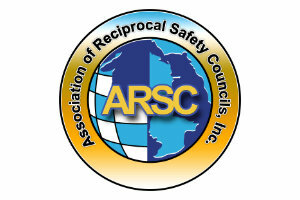 The ARSC reciprocal training had proven effective, and was being recognized across the country. Basic Orientation Plus® and its Refresher meant that contractors did not have to repeat training; which, in turn, meant substantial savings for everyone. 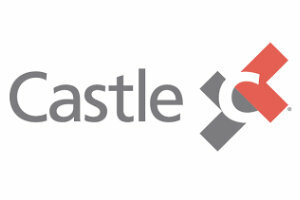 Thus, because the number of students who came from the greater tri-state area was growing, the Board felt it was time to change the safety council’s name to reflect its expanding base. 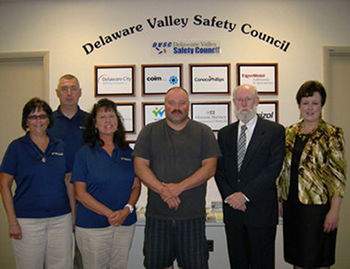 With legal documents filed as of November 21, 2006, the South Jersey Chemical Manufacturers Safety Council officially became the Delaware Valley Safety Council. Early in 2008, it became apparent that there was a need for additional resources to manage the day-to-day flow of business necessities and requisite paperwork. Thus the position of DVSC Administrator was created and filled. Billing, bookkeeping, record maintenance, correspondence and mailings, along with other subsequent duties, such as keeping the website up to date, were now being efficiently handled by the Administrator. Planning for the DVSC website (www.dvsconline.org) began in the latter half of 2009. 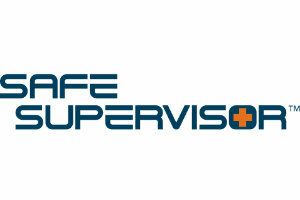 By spring of 2010 the site was operational, and the Delaware Valley Safety Council finally had an Internet presence. At approximately the same time as DVSC’s appearance on the web, there was a change in the physical location of the DVSC training facility. Since 1995, the Safety Council had conducted its training programs at Gloucester County College’s Business and Industry Training Center (BIT) in Swedesboro, and later in the Deptford location. 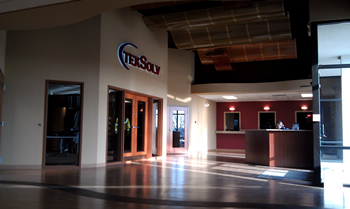 On April 23, 2010, a ribbon-cutting ceremony to mark the opening of the DVSC Safety Training Center was conducted at the College’s new Continuing Education Center in Sewell, New Jersey. 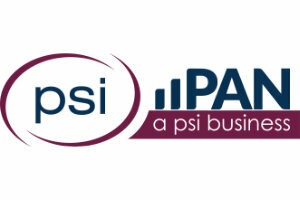 With continued growth, 2011 saw the initiation of plans to expand operations into the Delaware region. 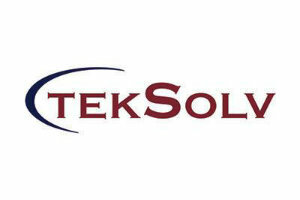 In July, an agreement was signed with TekSolv in Newark, Delaware to become the second DVSC training facility. With a November opening, sporting a new state-of-the-art computer lab and classroom, the Safety Council was now positioned to better serve the expanding safety training needs of the region. In 2012, DVSC admitted the first contractor company, J.J. White, Inc., to its membership list. 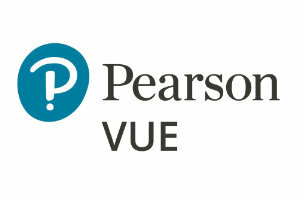 In June, the Board created and filled the position of Director of Customer Relations. The Director would help the Council promote and develop programs and nurture the relationships with current and prospective customers. As 2013 unfolded, DVSC unveiled a new and improved website that is the portal to a host of training programs that can be completed entirely on the website itself. In conjunction with that, DVSC’s “Cool Stream” operation has become the source for the development and streaming of site-specific training for an increasing number of companies. Partnering agreements with a sister ARSC member, Alliance Safety Council in Baton Rouge, Louisiana, and AdvanceOnline Solutions in Vancouver, Washington, have stimulated exciting growth opportunities. DVSC now offers the OSHA Outreach 10-Hour Construction training and card, the OSHA Outreach 10-Hour General Industry training and card and the OSHA Outreach 30-Hour Construction training and card with options to take these programs daily from the DVSC website, daily in a computer lab proctored setting at either DVSC location, plus instructor-led classes available at either at our facilities or on site. 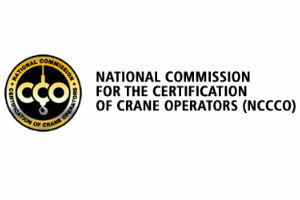 In March of 2013, DVSC began discussions with the National Commission for the Certification of Crane Operators (NCCCO). 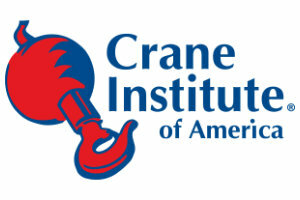 Pending OSHA legislation is focused on the need for more regulated crane safety. Through NCCCO, the leading national certifier of crane operators, signalpersons and riggers, DVSC entered into yet another arrangement, this time with ETS, a local NCCCO certified training and testing company, to deliver DVSC’s crane safety program with initial training and testing occurring in February of 2014. DVSC is the only organization in the Northeast to be able to offer the combination of NCCCO certification- directed training, written testing, computer testing and practical testing. The Alliance Safety Council agreement opens the door for DVSC’s entry into the power industry through Alliance’s highly regarded PowerSafe orientation. 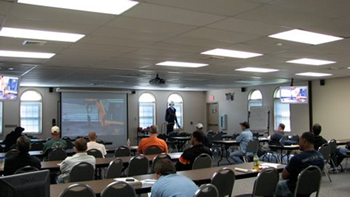 Much as Basic Orientation Plus® has become the standard, reciprocal safety training program for the petrochemical and other industries, PowerSafe offers the same potential for power companies and the contractors they employ. DVSC will become Alliance’s marketing arm for PowerSafe in the Northeast, while also offering both proctored and web-based PowerSafe training. In 2014, the Board created the position of Executive Director, and expanded the staff to include an Associate Director and a Special Projects Coordinator. 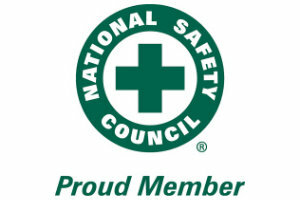 In addition, Nooter Construction became the second contractor company member of the safety council. In January of 2014, DVSC executed a strategic alliance agreement with Shermco Industries to provide electrical training. Shermco Industries is a provider of testing, maintenance, repair, commissioning, engineering and training services for electrical infrastructure including substations, switchgear, transformers, motors and generators. With Shermco’s acquisition of Magna Electric Corporation, a Canadian firm, Shermco Industries became the North American leader in electrical power system maintenance, repair, testing, and training. 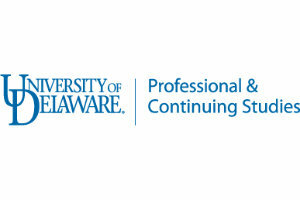 Later that year, in September, DVSC entered into a Memo of Agreement with the University of Delaware to host and promote DVSC safety training programs and certifications. This is a outstanding opportunity to partner with a major and well-respected university in the region; and there is tremendous excitement within DVSC about the potential. DVSC looks forward to celebrating its twentieth anniversary in 2015 with multiple celebratory events and expanded training capabilities. The Delaware Valley Safety Council is perfectly positioned and prepared, now and into the future, to achieve its mission to help bring every worker home safely at the end of their workday every day.